Average Disguise is the debut release from Nantwich's Abbie Ozard. It's a dark, atmospheric track that marks out the newcomer as someone to keep a very close eye on in 2018. With a voice that initially sounds like butter wouldn't melt, a closer listen to the lyrics reveals someone not to be messed about. 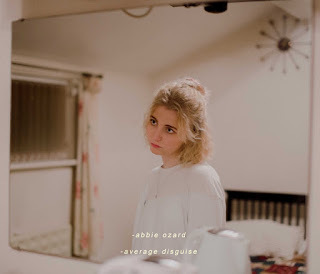 Championed already by the likes of Chris Hawkins and Michelle and Natalie at BBC Introducing who've both played this track, the song won Abbie a place at last year's Words And Music Festival in her home town, but has now been released as a single. Abbie Ozard is on Facebook and Twitter.